Fueling your body for 13.1 miles is a training plan in its own right. The right combination can be the backbone of successful training runs. It is important to not only fuel yourself properly on race day, but throughout your training program. Especially on the days leading up to long runs, you should be eating a well-balanced diet with a concentration on carbohydrates. According to the United States Anti-Doping Agency (USADA), athletes should consume at least 50 percent, but ideally 60 to 70 percent of their total calories from carbohydrates. When compared to protein and fat, carbohydrates are the most efficiently broken-down and metabolized form of energy for the body. Fill your diet whole grains, vegetables, and fruits. Proteins and fats should take a secondary role in your diet. If you think of your plate as a peace sign, fill two-thirds with complex carbohydrates and leave the other one-third for the fats and proteins. By providing your body with the right nutritional formula, you will ensure that you have the best performance possible during your training runs. The USA Track & Field (USATF) reminds runners that their fueling strategy has an impact on their runners’ ability to train at a higher intensity, frequency, and duration. Additionally, it can have an effect on a runner’s adaptation to training and their chance for injury. Use your long runs to create a strategy for the week of the race. Many runners have a pre-race dinner ritual that is tried and true. Abby, an 8-time half marathoner from Delaware, enjoys a plate of pasta the night before the race. Practice the same thing when it comes to breakfast before running. Stick to a few hundred calories of complex carbohydrates within a couple hours leading up to the run. Experiment with variations and time during your training period. Take note on the long runs that you feel particularly energetic and try the combination over again for the next run. “Two pieces of whole wheat bread with peanut butter and honey, a cup of coffee, and a glass of water with an EmergenC packet,” is the breakfast of choice of Linnea, a 14-time half marathon finisher. As for the actual race, many half marathon runners use gels, bars, chomps, and sports drinks to stay fueled during their run. Nutrition while running is probably the hardest hurdle for most half marathoners. Everyone is different when it comes to what is most effective for their stomach, pace, and preference. Many times it can take multiple runs to figure out what combination and brands work best. 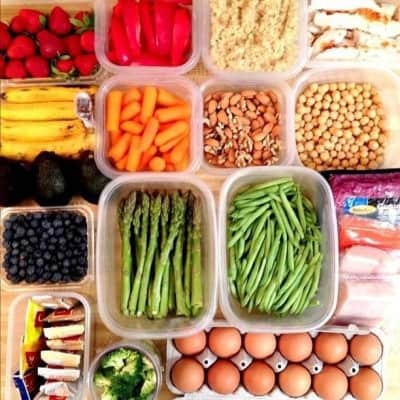 Nutrition for recovery is the final piece of the puzzle. According to the USATF, runners should eat or drink a minimum of 50 grams worth of carbohydrates and 7 to 15 grams of protein after a run of an hour or more within 30 minutes of finishing. This narrow window allows glycogen to be replaced in as little as 12 to 16 hours as opposed to 24 to 36 hours. When training, this is very important for runners to bounce back and be ready for the next workout. On the day of the race, follow the same strategy to minimize energy crashes and to return to running as quickly as possible. I want someone to make a calander that I can use a month before the half marathon, that tells me things i need to eat and how much of it. Amen!!! That’s what I’ve been saying!! I don’t want to have to do math to figure out % of what I need to eat. Tell me what specific foods I can eat and when!